Check in is 20 minutes prior to departure. Includes lunch, cold water, chilled refresher towels. 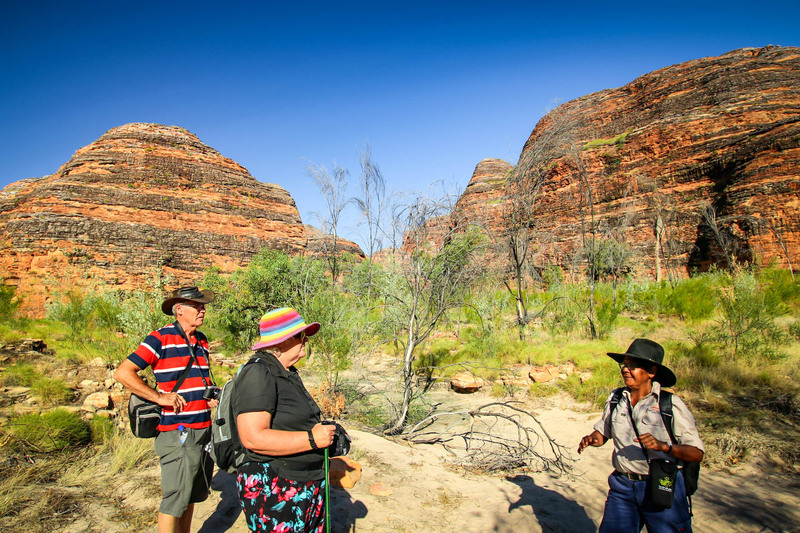 Meet your local tour guide at the HeliSpirit shady area at Bellburn airstrip in Purnululu National Park. Join your fellow travellers on this unique small group guided tour. 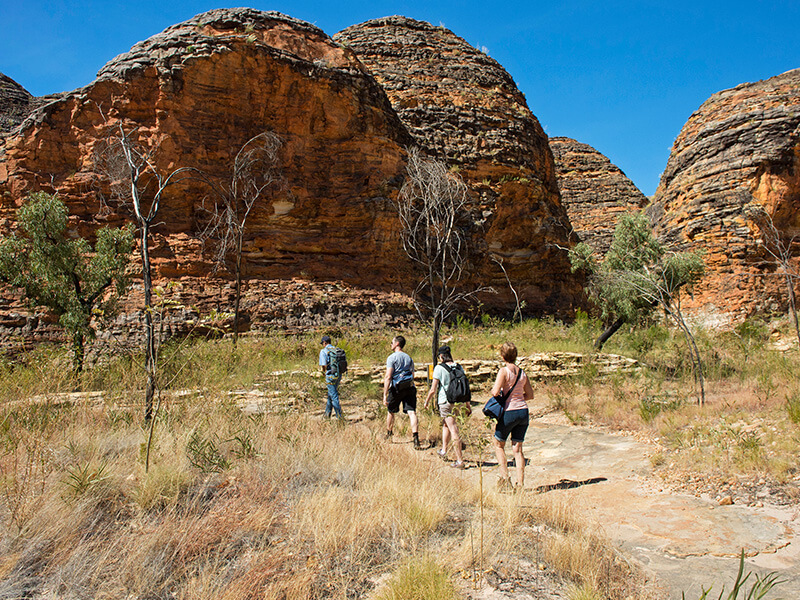 First, your guide will drive you closer to the Bungle Bungle range. 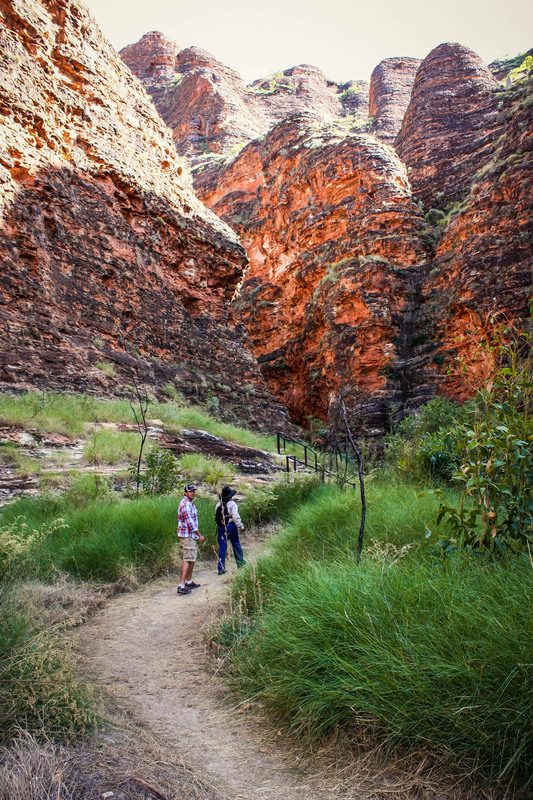 Walk amongst the famous eroded towers and black and orange banded beehive structures on the Domes Walk. 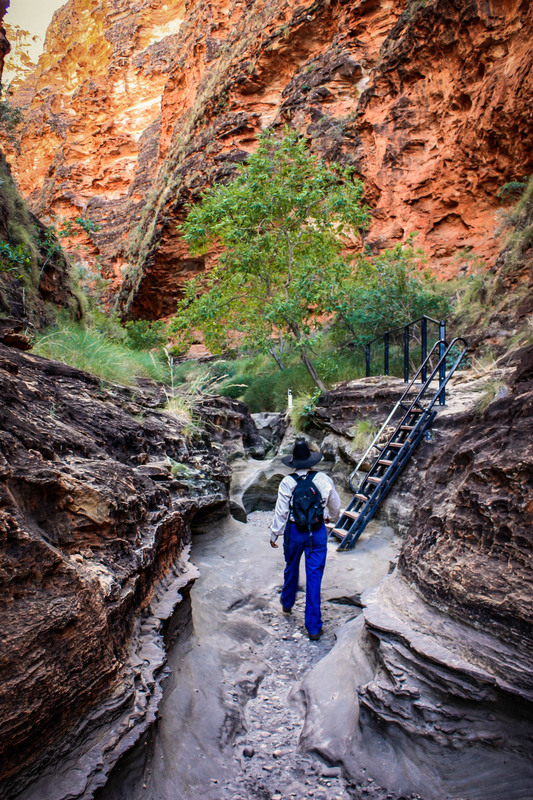 Your guide will take you into Cathedral Gorge, where the towering cliffs open up to form a space with awe inspiring natural acoustics. 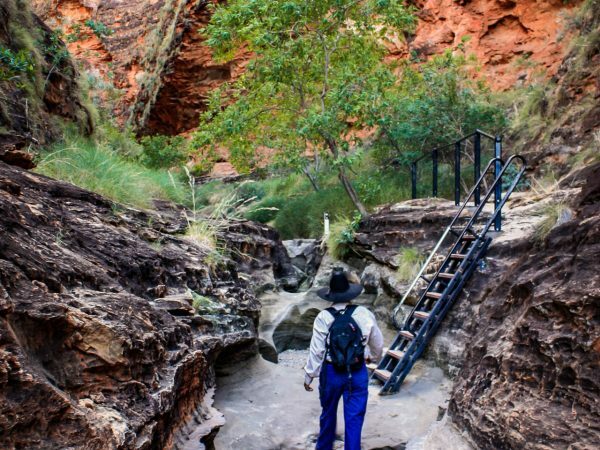 Walk along the sandy bed of Piccaninny Creek, which flows only in the monsoon waterfall season. 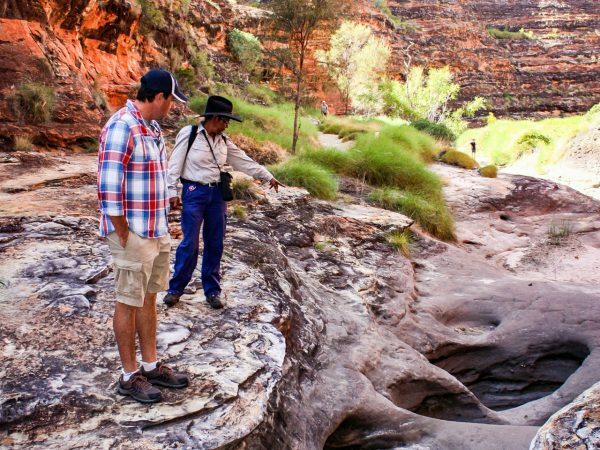 Learn about the Kimberley climate, the 6 seasons and unique flora and fauna so important to the traditional custodians of the land. A small cooler bag with your lunch is provided per couple, or per person if you are a solo traveller. There are some steps and sandy areas on the walk. 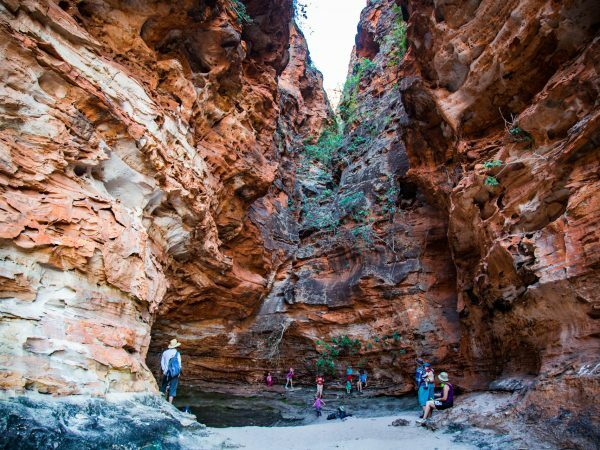 This guided tour can be accessed by plane or helicopter with spectacular aerial views of areas inaccessible on the ground. 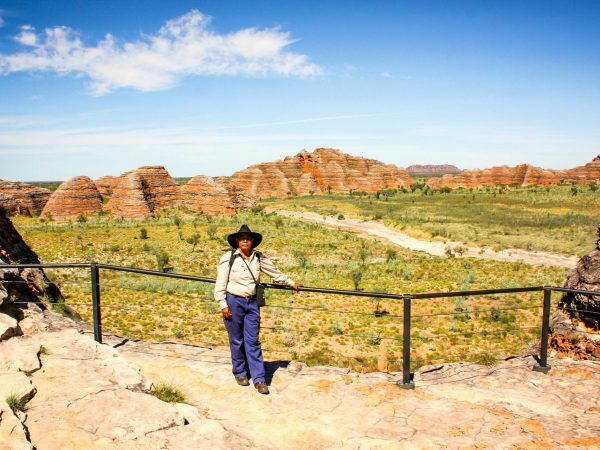 To fly to the Bungle Bungle is really the flight of a lifetime, with scenery so spectacular you won’t know which way to look first. Aeroplanes give a broad panoramic view of the landscape and helicopters give a thrilling close up view with excellent photographic opportunities. Flights departing Kununurra view the Ord Irrigation Area, Lake Argyle and Argyle Diamond Mine enroute. Departing Warmun views are of the Osmand Range and Purnululu Conservation area. 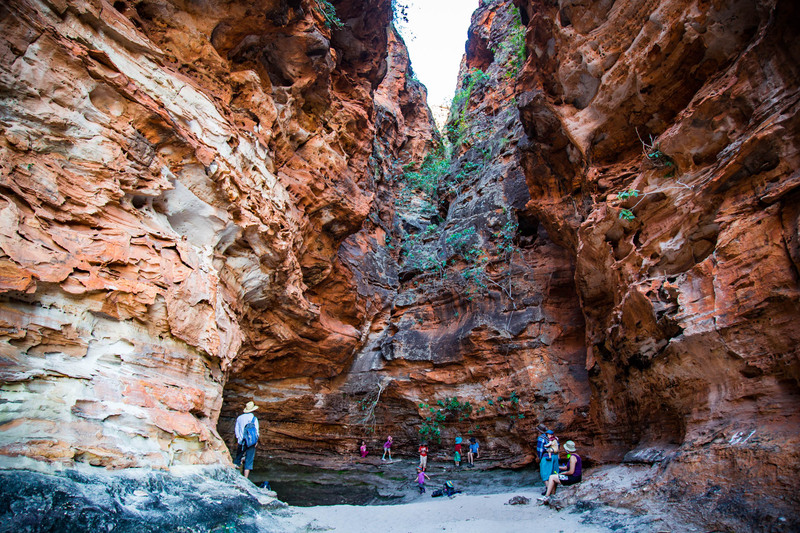 From El Questro, you fly over the Durack Range, Elgee cliffs and Argyle Diamond Mine. 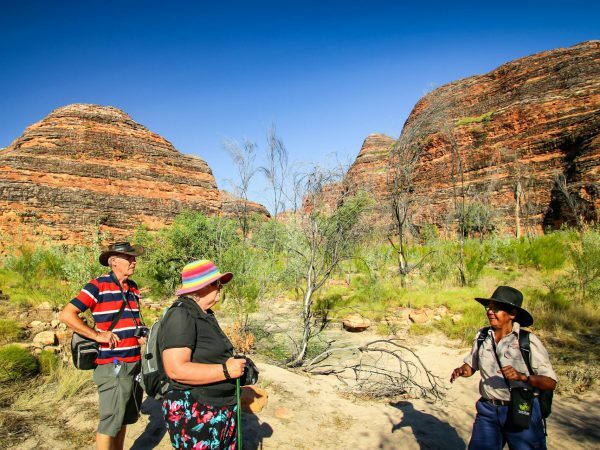 Add a Bungle Bungle Helicopter Flight if you are flying in by plane, or driving into Purnululu. With exquisite starry skies above – why not stay the night at the Bungle Bungle Savannah Lodge. 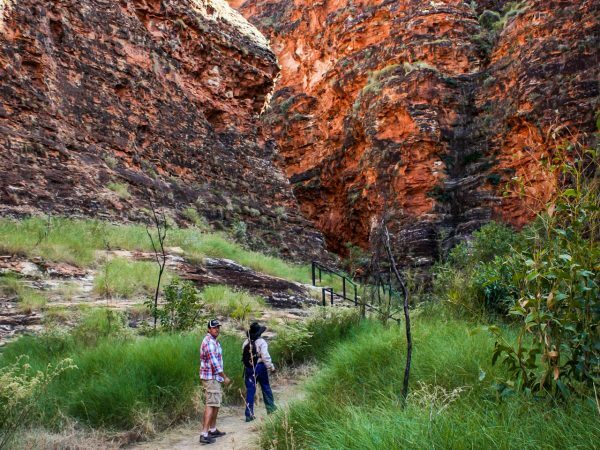 This is Eco accommodation in the Bungles at its best, with comfortable beds, hot showers and delicious meals prepared by our chef. After a lovely morning tea and lunch we got back on the plane and did an air tour over the Bungle Bungles and the Argyle Diamond Mine and then back on to Kununurra. Our tour guide was excellent and we felt we gained a great feeling for the area after our trip with her, I am sure there are many people like us who would love the tour. You really get a deeper understanding of the cultural significance and history of the area than if you did the walks on your own. 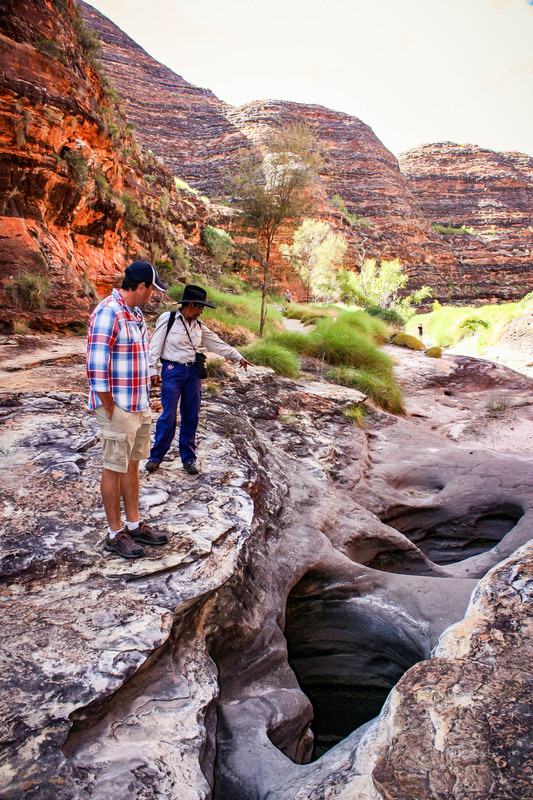 Thank you so much to the team at Bungle Bungle Guided Tours for an absolutely spectacular day. I went on the BB1 tour and it was fantastic from start to finish. 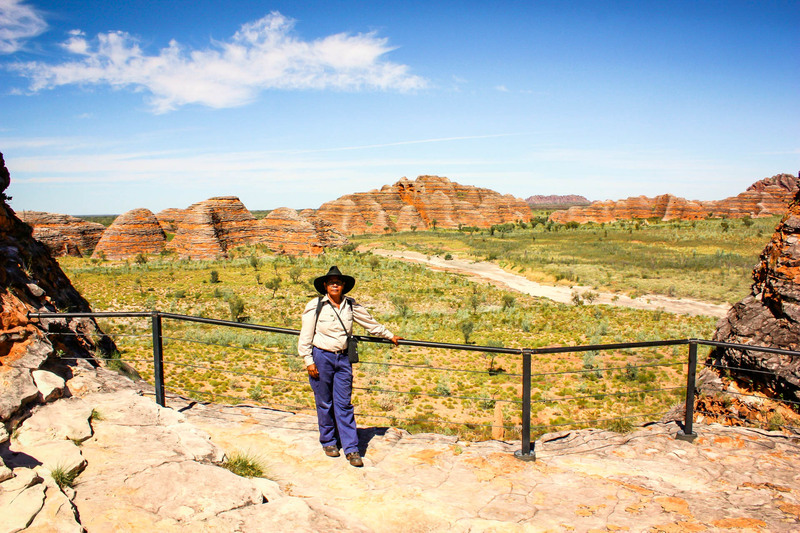 After our flight from Kununurra we landed at the spectacular Bungle Bungles and were given a warm welcome by tour guide. Less than 48 hours notice - NON-REFUNDABLE From 48 hours and up to 7 days - 20% fee will be charged per booking Travel Insurance - we recommend that Travel Insurance be taken out to cover the above. A Minimum of 2 passengers or the equivalent cost is required to confirm a departure. A maximum of 16 passengers is our limit. Please advise the level of assistance required. Staff are not permitted to lift any passengers. Flights: Infants are classified as 0-2 years, and may travel free of charge, on their parent’s lap. Please note that only one infant may travel per aircraft. An adult must accompany children classified as 3-12 years of age inclusive. All tours and safety briefings are conducted in English. All scenic flights include personalised commentary by the pilot. Luggage (where applicable) is normally restricted to cabin sized, soft luggage only and a maximum weight limit of 10 kilograms per person. All care is taken but no liability is accepted for damage to passenger’s personal items. Good walking shoes, wide brim hat, sunscreen, camera, hiking sticks (if preferred), water bottle. We provide 1 water bottle but 2 are needed. Check in at the aircraft embarkation point is 30 minutes prior to departure time. Check in at Bellburn for the ground tour is 20 minutes prior to departure.